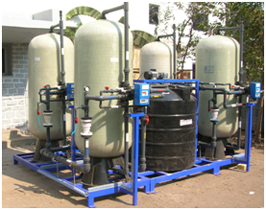 Sankalp Enterprises is a leading service provider of Water Softeners in Bangalore. We are know for quality installation ans service. Ion exchange water softening products remove calcium and magnesium from hard water to produce softened water. A water softener uses sodium to help replace calcium and magnesium ions. Unlike hard water, softened water will not leave any residue or scale on things it comes in contact with.